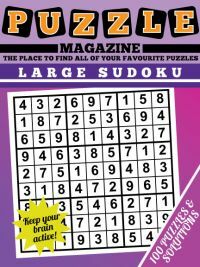 Hanjie is an enjoyable Japanese logic puzzle that has a range of different names. Apart from hanjie other common names for this puzzle include nonogram and griddler. 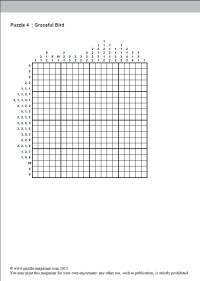 The aim of a hanjie puzzle is to work out whether each small square in the puzzle grid is to be shaded in or left blank. 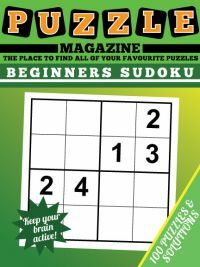 At the end of each hanjie puzzle in the magazine, you will have worked out for every square whether it must be blank or left in - and you'll create a simple piece of black and white art in the process, as the pattern of the shaded cells reveals a simple image. 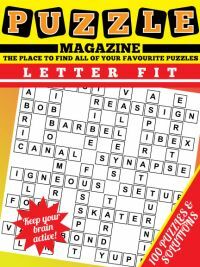 You never need to guess: each of our puzzles has one solution reachable through logic alone. The rules are that each number corresponds to how many consecutive filled cells there are in that row or column, with at least one white space (empty cell) necessary between separate regions. Therefore if the clue for a row is 3,2 this means that there must be a gap of at least one space between the '3' filled cells and the '2' filled cells. Were there no gap, then the clue would have been '5', where there are five continuous filled cells. 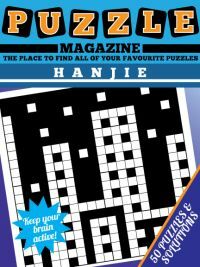 If you are new to hanjie then you might like to take a quick look at our introduction to solving hanjie puzzles before downloading the magazine. 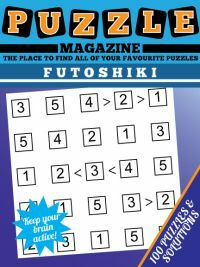 If you've ordered a hanjie magazine from us before, then please note that this magazine is new in February 2012: if you ordered previously to this, it was a different magazine. Solving hanjie puzzles is all about patience, and attention to detail, combined with working out the possible options for each row and column. Some placements are trivial as they have only one option - a region with nothing placed can clearly all be marked as blank, and a region that has every cell placed - for instance a region of length 20 with a 20 marked at the start of it - can all be filled in. Most regions are a lot more difficult than this, and that's where the skill and solving comes into play. 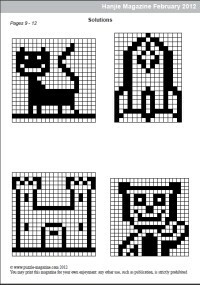 There are many regions where you will be able to able to place some squares as either blank or being filled in, without knowing the rest of the region. Often, in these instances, the new information will help you solve other areas of the region, and so you make progress bit by bit, gradually building up the image and solving the puzzle, ultimately. It is useful to know that when more than half the region is placed, at least some squares can be placed in the centre and out from the centre depending on how many are placed. For instance, let's say that you have a region of length 5, and a clue of 4. Now, you can place the central three squares in this region, and thus are well on the way to solving it. How can you place these? Write out the options for the region to find out: how many ways can you place 4 in 5 squares? It turns out there are two options. And the key is that they both have the central three squares filled in. How have a think about clues that contain more than one placed cell or group of cells in a region - can you work out if you can do something similar here. Think about how you would place a clue of 3, 1 in a region of length 6. 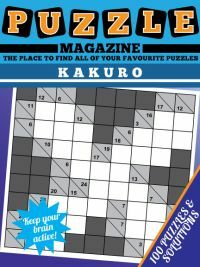 Can you always place one or more squares here too without knowing anything else? Write out the options and find out!